MANATEE -- Military veterans advocates are assailing a new report by the Institute of Medicine, which concludes Gulf War illness research should focus on mind-body interconnectiveness rather than genetic and environmental factors. The finding "turns science on its head," said James Binns, former chairman of the federal Research Advisory Committee on Gulf War Illnesses. "It would totally reverse the progress made in the past five years in beginning to understand the illness and develop treatments for it." The Institute of Medicine previously concluded the illness was not psychiatric, Binns said in a press release. Anthony Hardie of Bradenton, who chairs a treatment research program funded by Congress, said he was similarly alarmed by the new conclusion. "It's the same old government theme from the 1990s to deny what happened and deny care and benefits -- just when research to understand the illness and identify treatments is finally making real progress," Hardie said in a press release. Between one-quarter and one-third of the nearly 700,000 members of the U.S. Armed Forces who drove Saddam Hussein's Iraqi military out of Kuwait in 1990-91 may suffer from Gulf War illness. Hardie, who has testified before Congress about Gulf War illness, believes his symptoms were triggered after coming in contact with toxic agents when going through an Iraqi bunker. "It had all the classic signs of a chemical warfare agent," Hardie told the Herald in 2014, recalling the odors he smelled in the bunker. Hardie is a passionate and effective advocate for more research on Gulf War illness, even though he suffers from chronic widespread pain, sleep disturbances, frequent infections and fatigue. Rick Weidman, executive director for Policy and Governmental Affairs for Vietnam Veterans of America, was withering in his reaction to the new conclusions. "It's outrageous that the VA undersecretary from the 1990s, who began the policy of minimizing Gulf War illness, was on the committee, or that the committee chair was on record before she was appointed saying you can't say what caused it. Half the committee was psychiatric advocates. It's exactly how the effects of Agent Orange were denied for 30 years after Vietnam. We intend to seek legislation to prohibit these corrupt practices," Weidman said in a press release. Dr. Beatrice Golcomb, professor of medicine at the University of California-San Diego, said the Institute of Medicine failed to look at all relevant studies. "This 'don't look, don't find' practice has been a consistent problem in IOM Gulf War reports," she said in a press release. Roskamp Institute in Manatee County has been studying the effects of Gulf War illness. "We try to mimic the disease in people with mice," Fiona Crawford, president of Roskamp Institute, told the Herald in 2014. 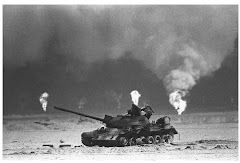 Roskamp researchers expose mice to the same agents soldiers were exposed to in the Gulf War. Roskamp also sought to find veterans to participate in its research, not only with Gulf War illness, but traumatic brain injuries, post-traumatic stress disorder and Alzheimer's disease. Veterans exposed to chemicals, including nerve gas and nerve agent pretreatment pills, are more likely to be ill and have more severe illnesses. Exposure to related chemicals in civilian settings has produced similar chronic health problems, Golomb said. Researchers say treating Gulf War illness is difficult because symptoms vary from one person to another. 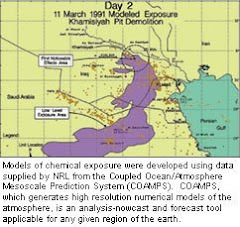 Roskamp researchers have said their work is being used to develop a panel of biomarkers for Gulf War illness. James A. Jones Jr., Herald reporter, can be contacted at 941-745-7053 or on Twitter @jajones1.